Sometimes entering a restaurant can be a solace, especially when you are famished as I was when I entered Greasy Spoon in Naya Baneshwor. With its modern yet traditional décor, the place just pulled me towards it on a cold rainy day. 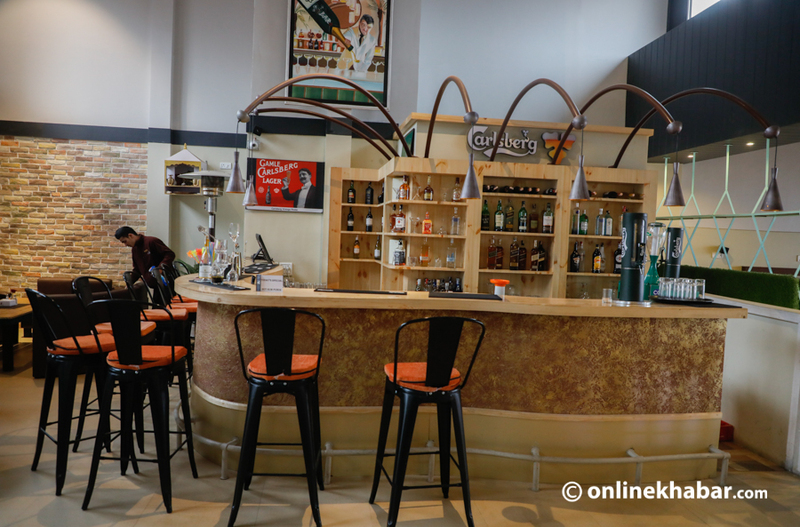 The restaurant, open little over three months ago, takes you to an entirely different world, away from the hustle and bustle of Baneshwor to a calm and soothing world, where you can listen to some light jazz music sipping a warm cup of coffee. The place is quite huge and also has a cosy lounge to relax. The lounge is decorated with interesting paintings on the walls. The south side of the restaurant is open and on a good day you can see sun magically set on the southwest side of the Valley. While I sat there hoping for the weather to clear, I ordered my meal. 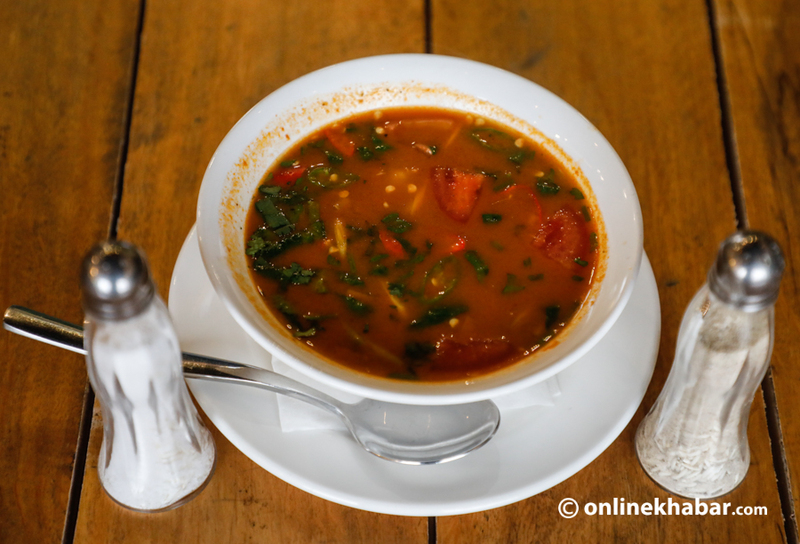 The first dish I went for was a hot bowl of tom yam prawn soup, which was perfect for a cold rainy afternoon. The flavours of lemongrass, galangal, kaffir lime leaves, fresh Thai chilies, and fresh lime juice, all combined to create a healthy and soothing broth that would light up your taste buds. The hot prawns added extra taste to the hot and sour soup, which warmed me up pretty well. I also tried the chicken spaghetti, which was also delicious. It was creamy and cheesy, but was quite light when eating. It was fresh and healthy and had a nice aftertaste. The chicken was tasty as the dish also had roasted tomatoes, which gave the dish some extra flavour. The pizza at Greasy Spoon was like any good pizza in town. Even though it was smaller than other pizzas you get around the town, it was cheesy and delicious. 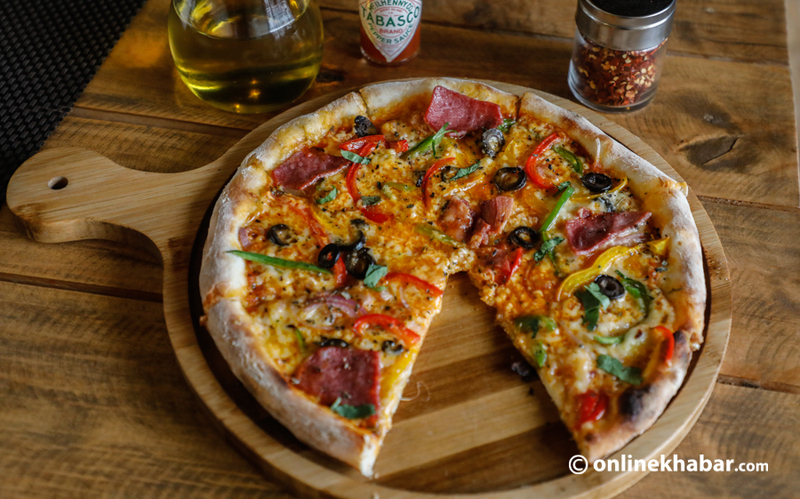 The smoky bacon, tomatoes, pepper and olives toppings really created a delicious blend which was quite nice. A perfect dish to share with your friends while you wait for your main course! 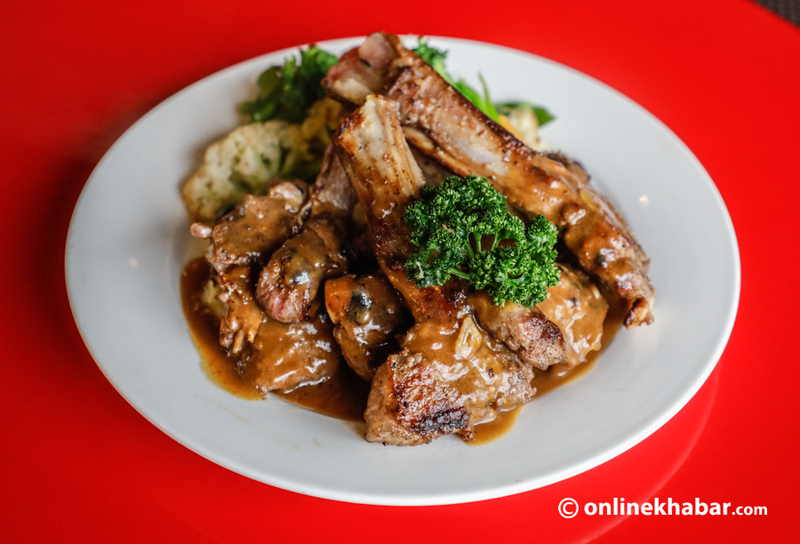 For the main course, I opted for lamb chops, which was juicy and perfectly cooked. The meat was seasoned well and full of flavour. The bone complements the taste of the dish with added zest. The brown sauce, which accompanied the meal, went perfectly with the meat and mashed potatoes. Though a bit sweet, it had rich flavours and went perfectly with the meaty lamb. It is one dish that you have to try when you visit Greasy Spoon. The place also serves a range of other dishes and also has a bakery, so be rest assured that everything you get here is fresh. The cakes here are quite good along with their range of Chinese dishes which is sure to appease your taste buds. 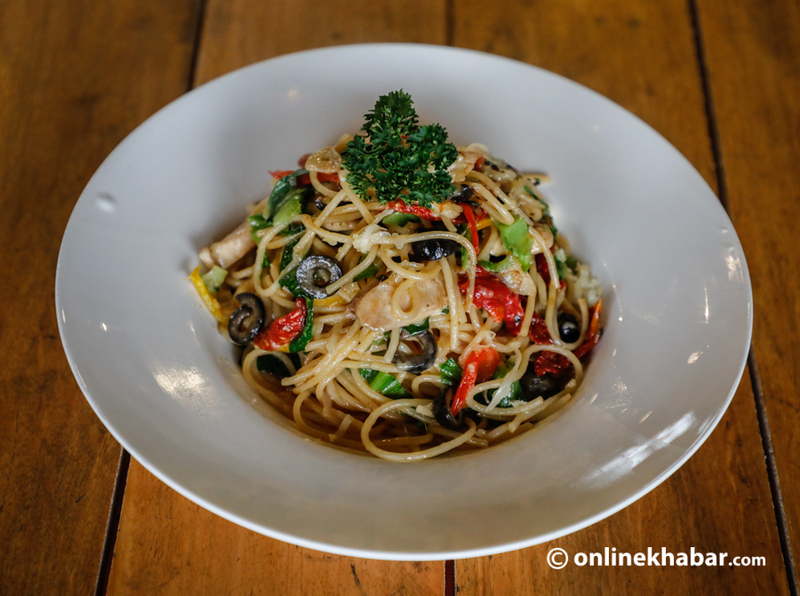 As Baneshwor area does not have many eateries, you should give a try at this place as it is ideal for both family gatherings and business meetings. It is also open for breakfast and serve delicious all American breakfast set. The place is also hosting a Valentine’s Day dinner, where Somea Baraili will be singing with her band. Her songs and the warm lighting is sure to make you and your love one’s day quite memorable.